The first six months of this year has put 2015 on its way to being the most deadly driving year this country has had since 2007, according to statistics recently released by the National Safety Council (NSC). Between the months of January through June, there were almost 19,000 people killed in vehicle accidents. Another 2.2 million were injured. Secondary to the tragic loss of life in these accidents is the increase in costs. The financial toll has spiked almost 25 percent higher than last year, with fatalities, injuries and damage to property already hitting $152 billion. Two factors were cited as possible reasons for the increase. Lower gas prices—30 percent lower than last year—mean more people are on the roads. A lower unemployment rate also means an increase in vehicles on the road. People are better able to afford to travel and take vacations. Insist that all passengers—including the driver—use their seat belts every time they get in the vehicle, no matter how short the trip. In fact, statistics show time and time again that the majority of vehicle accidents occur less than five miles from home. If you are going to a place where there will be drinking, make sure to have a designated driver. Never assume you are okay to drive after having any amount of alcohol. 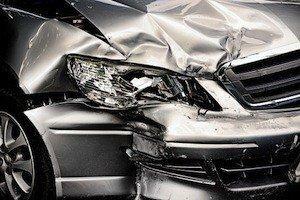 One in three traffic fatalities occur in alcohol-related crashes. Prior to driving, make sure to get plenty of rest. If you are feel drowsy while behind the wheel, pull over to a safe spot. 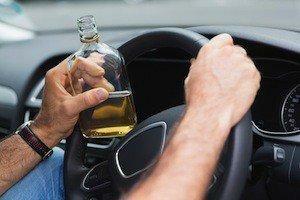 Drowsy driving can be just as dangerous as drunk driving. Estimates indicate that approximately 5,000 fatal crashes happen every year because a person was driving when he or she was too tired and should not have been behind the wheel. Do not use a cell phone while driving. Even using a hands-free device can still cause enough of a distraction for a driver to take his or her eyes off of the road. If you have been injured in a vehicle crash caused by a negligent driver, please contact an experienced Westport personal injury attorney to find out what legal recourse you may have for your pain and loss. The Commercial Vehicle Safety Alliance (CVSA) recently announced the results of the organization’s annual, unannounced brake check. The event, part of the CVSA’s Operation Airbrake program, was held on May 6th in 32 different locations in the United States and Canada. The unannounced event resulted in the inspections of 6337 commercial vehicles. Of those inspected, almost 10 percent were pulled off the road for excessive brake stroke violations. This means that the brakes of the vehicle were out of adjustment. Eight percent of vehicles were pulled for what was classified as brake component violations. These violations include air leaks, cracked or missing components, damaged brake hose or tubing, issues with drums or rotors. In all, 14.2 percent of the vehicles inspected—approximately 900 commercial vehicles—were placed out of service because of unsafe brakes. There were 111 vehicles inspected at the Connecticut location. Fourteen of those vehicles were place out of service for brake adjustment violations, 13 were pulled for brake component violations, and another 28 were put out of service for other brake issues. The organization is now gearing up for its annual Brake Safety Week, which will take place from September 6th through September 12th. The event is held in partnership with U.S. Department of Transportation’s Federal Motor Carrier Safety Administration (FMCSA). The inspections will be performed by both federal and state inspectors, with the goal of identifying vehicles with out-of-adjustment brakes and brake-system violations. Issues of the vehicle’s antilock braking system (ABS) malfunction indicator lamps. During last year’s Brake Safety Week, there were over 13,000 commercial vehicles inspected, resulting in 2,162 vehicles being pulled off the road. The braking capacity of tractor-trailers (and other commercial vehicles) can be a significant factor in truck crashes. It takes a loaded truck 20 to 40 percent farther to come to a complete stop than it does for an automobile. Hence, it is critical for the braking systems of trucks to be in safe working order. If you have been injured in a truck accident, please contact an experienced Westport personal injury attorney today to find out what legal recourse you may have for your pain and loss.